(CNS): Another group of young people have passed through the government’s job training programme which readies young people for the workplace and helps improve their chances of getting work in an increasingly tough employment market. Of the 23 young people who graduated from the 12th session of Passport2Success four of them already have full time work, while a fifth has a paid internship and a further six are now pursuing higher education. This was the third group this year to complete the 12-week programme where they receive practical hands-on training in occupational, personal and job-specific skills. Since it started over 240 young Caymanians have been on the programme. The trainees participated in work placement with an opportunity to impress potential employers and provided volunteer work through community service hours. Participants earned a monthly stipend, including potential performance related bonuses. Programme Coordinator Shannon Seymour said the program has continued to attract a growing number of applicants. “We received over 50 applications for the 25 spaces available for Cohort 12. This speaks volumes of the need and desire to acquire these kinds of skills, and reflects the positive reputation of the P2S programme,” she said. Now in its third year, P2S has prepared over 240 young Caymanians to enter the work force with professional-level competencies and renewed confidence. On average 85 percent of participants complete the programme, with approximately 35 percent having already securing employment by graduation, and 61 percent within a year of graduation. In the 12 months post-graduation, 18 percent of graduates also report furthering their education. Although a government initiative it is delivered in partnership with private sector sponsors Kirk Freeport, Webster Tours and Century 21. Webster Tours provides transportation to participants to attend classes and for group excursions during the programme. Kirk Freeport provides gift bags for the special awards at every graduation, and helps to teach participants about dress and grooming in the workplace. Education and employment minister Tara Rivers said the programme provides an excellent opportunity for young people to develop professional skills and build confidence as they enter the workforce. The P2S programme continues to deliver in its ability to provide these young people with a considerable competitive advantage in gaining access to jobs,” she said. (CNS): Nelson Mandela, the founding president of the new South Africa, has died at his home aged 95, the country’s current president Jacob Zuma has announced. In an address to the nation, Zuma said Mandela "passed away peacefully". Family had gathered at his home as the former leader had been very ill, having spent nearly three months in hospital with a lung infection. He died at his Johannesburg home at 8.50pm local time. Mandela, who led South Africa's transition from white-minority rule in the 1990s after 27 years in prison, will be given a state funeral. In the wake of the news, Cayman’s premier said it grieved his heart to have learned of the South African hero and former president’s death. “He was one of the most beloved leaders of the 20th Century,” Alden McLaughlin said in a short statement Thursday evening. “His struggle for freedom in South Africa was tireless and it gained him the respect of the world. His compassion, humility and humanity were an inspiration not only to his country, but to many of us in the Cayman Islands who want only to make lives better for our people. “He brought about reconciliation and hope to the people of South Africa, and while he was controversial for most of his life, he eventually became a shining light of optimism for all of us, all over the world,” he added. . Even when he was imprisoned for 27 years at Robben Island for trying to overthrow the pro-apartheid government, he rallied prisoners and showed leadership skills that would serve him well when he became that country's first fully-representative democratically elected president, McLaughlin noted. “We all knew that he had been ill, in and out of hospital for quite some time. But as in all deaths, expected or not, the loss is a heavy burden on our hearts. This is truly a sad day. 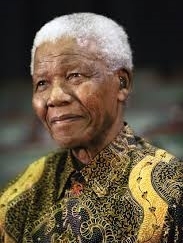 But we as a world are in a better place for his service to his fellow man, South Africa and the world. I and the people of the Cayman Islands send our condolences not only to his family, but to the South African community as well as the Diaspora," the premier added. It will involve various stakeholders and high level officials from the Caribbean who work in that field, will also seek to chart a course of action to educate, empower, support girls, and reduce the incidence of adolescent pregnancy. According to the UNFPA State of World Population report 2013, motherhood in childhood is a huge global problem, especially in developing countries, where every year 7.3 million girls under the age of 18 give birth. In the Caribbean, despite the fall in total fertility rate, adolescent birth rates remain relatively high. Among girls aged 15 – 19 years old, the birth rate ranges from 26 to 97 per 1,000 adolescent girls. Guyana, Belize, Jamaica, Antigua and Barbuda and Suriname have the highest teen pregnancy rates in the Caribbean. (CNS): The man credited with turning round Cayman's declining overnight tourism figures will be taking his talents as a marketing wizard to Dr Devi Shetty's Health City in East End. 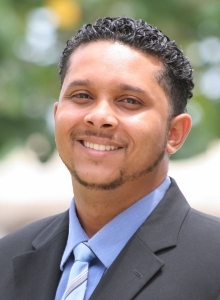 Shomari Scott, who is leaving his current government post as director of the Department of Tourism this month, will take up his new job as the hospital's marketing director at the beginning of January. And not unlike his previous position, where he brought in visitors, Scott will be tasked with bringing in the patients. Gene Thompson, the local partner on the project, said he was "ecstatic" that Scott had joined the team and he was one of a number of locals that he hoped would fill many of the hospital's non-medical posts. Scott joins Caymanian Judy-Ann Ebanks, the HR director on the management team. With less than three months to go until the hospital's grand opening on 25 February, Thompson said that the recruitment drive was now moving full steam ahead. He said he was "excited about the talented Caymanians we now have in the team", which he said was part of the ongoing commitment to recruit local people. Although Scott has not yet begun his new job, he said that like any marketing role it would be about identifying the customers and then using the right tools to let them know about Health City Cayman. He said he had wanted to join the team as he believes that medical tourism will become Cayman's third economic pillar and wanted to be at the start of it all. He said he was sold on Dr Shetty's vision. "I think the model for transformation in health care in the the west is going to begin here," he said. Scott also pointed to some similarities regarding issues of airlift and the related tourism element for patients post-operation, as well as their friends and family. "I will make sure the world knows about Health City Cayman," he added. Dr Devi Shetty, the man behind the ambitious project, is not currently in the Cayman Islands but the local team is in the process of identifying and interviewing for more key posts. Thompson said the leading doctors and senior medical staff will come largely from India, while senior and specialist nursing staff is expected to come from North America. With around 140 jobs to fill and few medically qualified Caymanians, most of the clinical staff will have to be recruited from overseas. Thompson said that they still hoped to fill some posts with qualified locals but the Health City had also agreed not to poach what few trained and qualified local healthcare professionals there are here in Cayman that are working with either Chrissie Tomlinson or the HSA. However, with plans for extensive training and a schools programme to try and encourage young Caymanians to start on the road to a career in medicine, Thompson is hopeful that as time goes by local people will be working at the hospital in every area. In the meantime, he said, there were high hopes that non-health related posts could go to locals, as was the case already with key posts going to Scott and Ebanks. Having a local HR manger, he said, was a great start and would ensure that recruiting locals would remain front and centre for the facility once it is open, as it has during construction. There are still many posts at the hospital that do not require medical training. Thompson urged people to visit the website and submit applications for the numerous jobs, and he hoped that at least 25% of the 140 employees would be from here. During construction the project maintained a highly localized workforce, averaging in excess of 65% Caymanians on the site during the life of the development. As a result of waiving the requirement of a clean record, Thompson said the project was able to employ some highly skilled workers who may have been overlooked because of old police records and they have completed a two year long job in less than a year. "When you give people a chance they will perform," he said. Thompson said that from the beginning Dr Shetty and the rest of the team committed to using local people and services and they would continue to dothat once the hospital opened. The RCIPS is seeking any person(s) that may have witnessed this collision or have any information relative to this collision to please contact the George Town Police Station at 949-4222 or any of the police station in Grand Cayman. (CNS): Although the authorities at the Department of Labour and Pensions (DLP) are investigating over 600 cases of pension violations by employers, which were initiated following a report on the matter by the Office of the Complaints Commissioner (OCC) three years ago, not a single conviction has been recorded. The 2010 report revealed the shocking delinquency and failure of the authorities to enforce the law, but according to information released by both the DLP and the Office of the Director of Public Prosecutions (DPP) following requests made by CNS, just four new case files from those 600+ delinquent bosses were passed to the prosecutor’s office, three of which saw charges laid and a fourth given to the DPP in October is currently pending. The shocking state of pension delinquency is further illustrated by the fact that the rest of the cases currently before the courts were opened and passed to the DPP more than three years ago. However, so far not one case has resulted in a successful prosecution as the cases, which are all being handled by the Summary Court, continue to be adjourned. The Department of Labour and Pensions revealed that since Complaints Commissioner Nicola Williams published her report, in which she suggested that millions of dollars were missing from pension funds as a result of employers breaking the law and the authorities failing to enforce it, they had opened 1,419 new cases and resolved 805, leaving 614 cases under investigation. With only four having being passed to legal department, the pensions department is dealing with 610 delinquent employers. Although they began naming and shaming the culprits by publishing on their website those being prosecuted for failing to make employee pension contributions, many of the companies listed continue to trade and hold work permits for employees. Employment Minister Tara Rivers has promised to address the issue and in a statement released in October following damning criticisms of the situation in an updated OCC report, she said her ministry was reviewing the National Pensions Bill, which was tabled in the Legislative Assembly but then withdrawn by the previous UDP administration. Some two months ago, Rivers said she was “seeking guidance as to the policy considerations and amendments that need to be made to the Bill in order for me to bring it back to Cabinet”, and said the bill was not in keeping with the policy direction of the current government. The minister also stated that the Department of Labour and Pensions was looking to increase its staff complement to ensure its effectiveness. 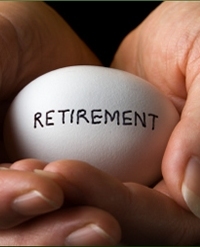 "The department has managed to secure funding for an additional senior pensions officer in the 2013/14 budget and will be making steps to recruit to this post," she said. The minister has also promised a pro-active employers inspections regime, which will include pension inspections by January 2014.